“Can girls do that too and stuff?” my daughter Rose asked me, for the second time. We were both glued to the live YouTube feed of Felix Baumgartner’s awe-inspiring freefall jump from the edge of space, even as we were visiting Seattle’s Museum of Flight (which curiously, wasn’t screening the historic event anywhere). My four year-old had asked this same question for the first time, twenty minutes earlier when she glimpsed a shot of the Red Bull-branded Mission Control in New Mexico . Happily, I was able to point out two women working among the group of about 20. I’m not a scientist, engineer, or mathematician — my dad and brother are. Yet (1) I direct a graduate program that has a strong technology focus, so this somewhat qualifies me for supporting STEM (the movement to bolster K-20 education in Science, Technology, Engineering and Math); (2) I’m a father who has a vested interest in the success of his kids, and especially wants his daughter not to be streamed away from interest in STEM. Hence our annual family membership at the Woodland Park Zoo, the Seattle Aquarium and the Museum of Flight. It’s also my primary reason for serving on the Pacific Science Center’s Board of Directors. I was asked to do so in 2010 because the Board thought I could bring my storytelling focus to a field that badly needed to recapture the public’s imagination. The Science Center after all, was founded fifty years ago this year, at the height of interest in the Space Age and the New Frontier. Today, science seems to be under siege, from the dismal performance of our grade school students in Washington state, to policy makers’ inability to take on the very real threat of climate change (and among some who actually serve on the congressional science advisory committee and believe that the earth is 9,000 years old). Baumgartner’s jump was the perfect thing to puncture that thick morass of messaging. It’s a real, tangible thing that’s exciting in a way an advertisement could never be. Red Bull could easily have spent that same money buying ads on the biggest social networks, but instead it just did something interesting enough that people spread the message for them. It may have been a stunt, but it was real, and that kind of tangibility is valuable in the digital age. We’re seeing now that the simplest of social media campaigns – things like putting ads on Facebook or promoting tweets on Twitter – aren’t nearly as powerful as we might have once guessed. That doesn’t mean social media isn’t a powerful tool. Baumgartner’s jump was that perfect social media campaign because it didn’t go through the networks themselves, but through the people on the networks – Red Bull just did something that people wanted to talk about, and they used viral channels to do so. Previous:Fame or authenticity? 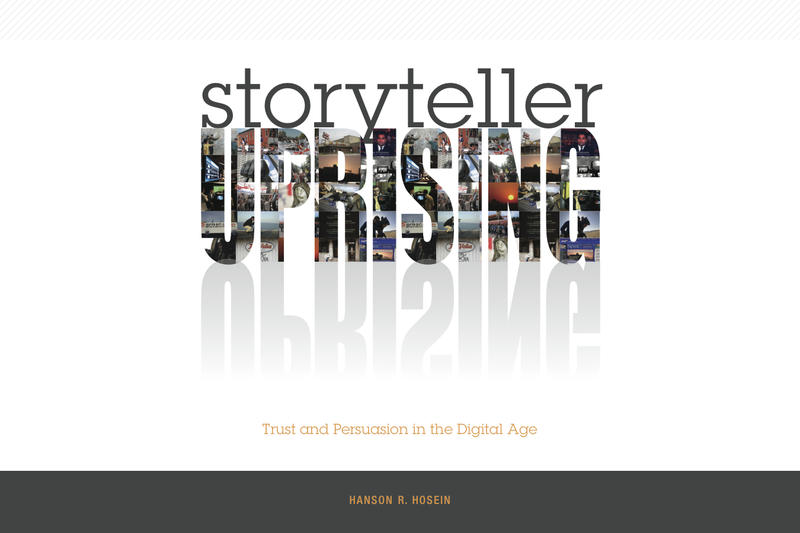 What’s more valuable for storytelling?